Try this light spinach salad recipe. 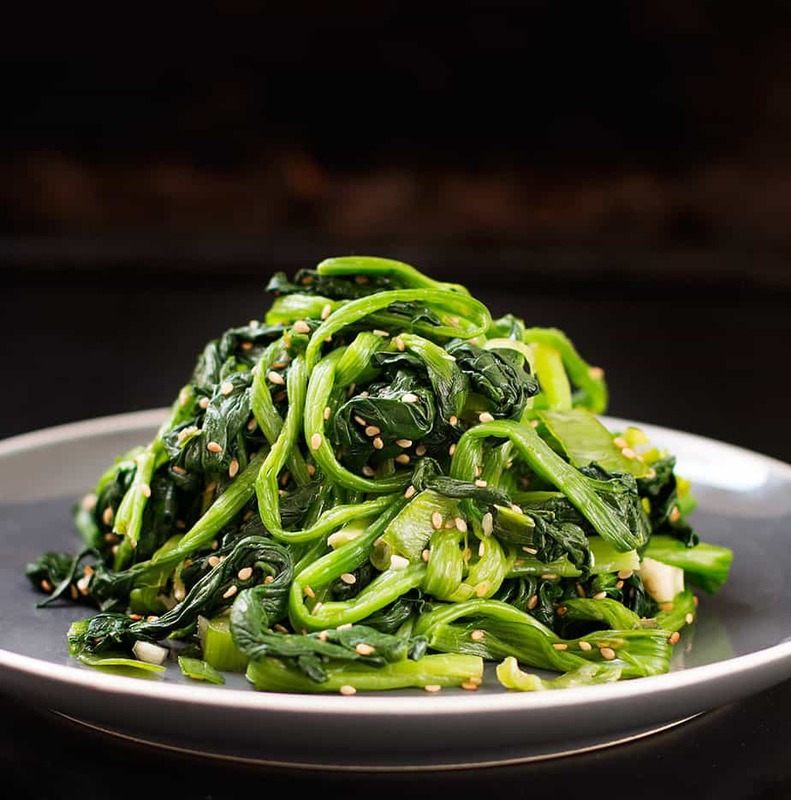 This Korean Spinach Salad is one of the basic Korean vegetable side dishes and traditionally served with a Korean meal (like chapchae, kimbap, and bibimbap). The seeds are always toasted before serving for a boost of flavor. 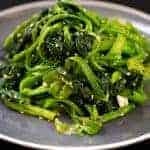 It’s an easy way to prepare your favorite vegetable (spinach) and so quick to make. The classic spinach salad that pairs well with grilled meat. This Korean Spinach Salad is also the perfect easy food idea for a summer picnic, easy to pack, store them in your cooler to take on the road or to the park. Spinach is a super food loaded with tons of nutrients, low-calorie and when you eat spinach that has been heated, you will absorb higher levels of vitamins A and E, protein, fiber, zinc, thiamine, calcium, and iron (source Vegetarian Times). Also, make sure to cut the spinach into small bite size pieces for your child before serving. Sesame Seeds Benefit the Heart & Lower Cholesterol. High Source of Cholesterol-Lowering Phytosterols, and are an excellent source of copper, a very good source of manganese, and a good source of magnesium, calcium, phosphorus, iron, zinc, molybdenum, and selenium. Check out another Korean recipe on my blog, Gochujang Sweet Spicy Korean Chicken. This Korean chicken recipe is very flavorful and easy to make. Remove the spinach from the heat and rinse in cold water a couple of times. Squeeze out excess water from the spinach with hands. In a medium mixing bowl : Add garlic clove, green onion, soy sauce, sesame oil and sesame seeds. Put the spinach into the bowl and mix well. Wow, this looks so healthy, green and stunning !!! I have absolutely got to try blanching spinach. I always sautée it but the problem is I don’t have a big enough skillet to make enough so that when it cooks down it’s any kind of substantial portion. I think you just brought a lot more spinach into my life! This looks delicious and the photo is incredible! Sounds absolutely delicious! My favorite flavors in one healthy dish! Thanks! I love the colors of the salad :). This is a gorgeous plate of greens! Really stunning — and I’m sure super delicious. I just love it! I love spinach! My family is always up for trying new dishes and this one looks so tasty. I’m not a huge fan of spinach but I know it’s very good for us. I really should try this recipe as it sounds delicious! That looks yummy! I had never heard of fixing spinach that way, but I need to try it! Wow incredible photo I love quick and easy recipes. Spinach is one of my favorite veggies and my family loves it too. 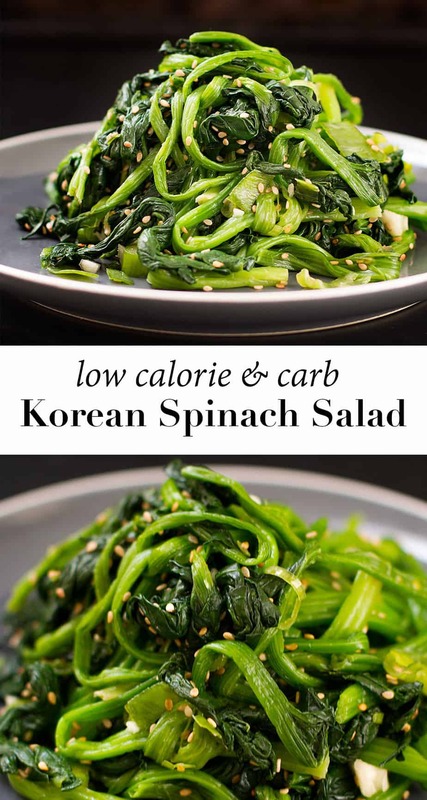 I would love to try this Korean Spinach Salad recipe for this weekend. Thanks for sharing the recipe. I do love spinach and eat it every chance I get. I did not realize that heated you get more vitamins-very interesting. Thank you! I am so glad that you enjoyed this recipe! 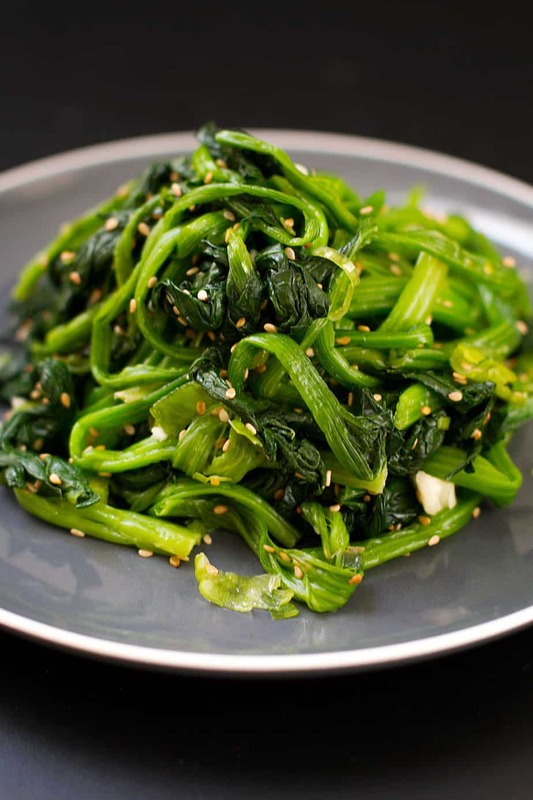 I am about to make this Korean spinach recipe again for dinner tonight!